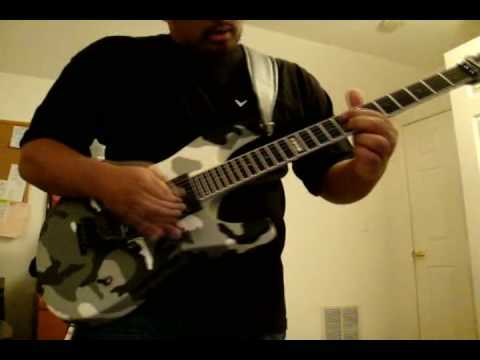 Altar of Sacrifice into Jesus Saves - Slayer covers (with solos) by Freddy Delacruz. Alot of you guys wanted more Slayer so here it is. Played with my new ESP Urban Camo M-II guitar, piped through my computer, Guitarport Line6 and GearBox software. Edited with Sony Vegas Video. I ask one thing...please rate and comment...the good and the bad! I am great with constructive criticism but please explain yourself (what you like about it, or what you do NOT like)! Thanks for stopping by and I appreciate your continued subscriptions!